Google also announced that Play Music will be coming to Europe. Starting November 13, listeners in the UK, France, Germany, Italy, and Spain will not only be able to begin listening and buying from the Play Store, but will enjoy the free 20,000 song upload other listeners use to get their personal library connected with their Google account. This comes in addition to another big feature – free music matching. 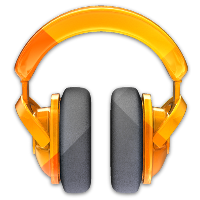 Music matching means that, when uploading your personal library, Google Music will scan your titles against its own catalog. When it finds a match, it will add that song automatically, without spending extra time uploading your files. This is a great feature – and one that many have long hoped for – that will save a ton of time in syncing up your existing library. This feature will launch with Play Music on the 13th in Europe, and will come to the US "soon after." Finally, Google promises "this will all be free – free storage of your music, free matching, free syncing across your devices and free listening."